Is Your Theme Ready for When Google Changes their Mobile Search Algorithm? 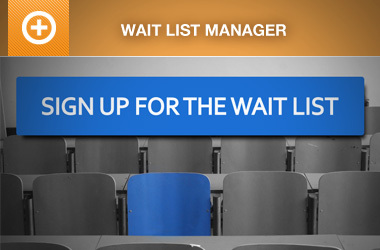 In order to sell tickets and collect registrations online, it is important that your website is easy for anyone to access and use. Google is changing their mobile search results algorithms to rank websites higher that give readers easier access to read and interact with their websites. Is your website ready? When and HOW is Google changing its mobile ranking algorithm? On April 21, Google is expanding their use of “mobile-friendliness as a ranking signal”. When this is implemented, worldwide, if you search for something on a mobile device today, then search again on April 21, the list of search results may change depending on if the websites among the search results are ‘mobile-friendly”. Depending on the type of events you organize, industry and audience, 60% or more of your registrations may come by those using a mobile device (phone or tablet). The number of people using mobile devices is growing fast. So regardless of whether someone is using a desktop computer, tablet or mobile phone, you want your audience to be able to find your events and buy tickets. If the websites for those search results are not “mobile-friendly”, that website will be penalized and will not appear as early in the search results. However, this does not apply to searches done via a desktop device. Is Your Website Theme Mobile-Friendly? If you’re using WordPress, then you must evaluate whether you are using a theme that is “mobile-friendly”. Mobile-friendly can mean several things, but I want to describe it in two ways: Accessibility and Ease of Use. You can use Google’s “Mobile-Friendly” test tool to see if your website will be impacted in their algorithm change or not. This tool gives you more of a pass/fail rating, but offers suggestions for improvement. Modify your current theme to better accommodate mobile devices. 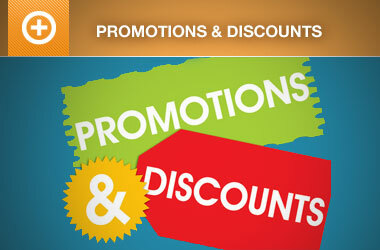 If you need assistance with your theme, we recommend you contact a Event Espresso Pro for help. Consider using a different theme. There are many free themes that are available from wordpress.org that are mobile-friendly. Can people access at all the information on your web pages without it being too cumbersome? Is there information that is hidden behind tables or images or divs, is there media (video, audio, etc.) that does not play on mobile devices? In order to attract customers, you want to review whether the information you publish is accessible. The more people that can access your websites, the more people are likely to attend, and the more successful we can all be. Web accessibility is not going away, and requires on-going, conscious, effort and investment. Determining if your website is mobile friendly should also consider how easy it is to use. The easier to use, the better it will convert visitors into customers. However, because the screen is small, you will have to compromise. You cannot expect the desktop and mobile-views to be exactly the same. It’s important to prioritize your design so that you present the most important information and functionality first, and the less-important items further down the page. 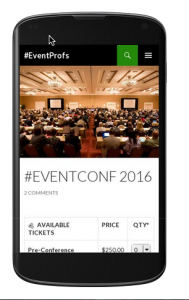 Is Event Espresso 4 mobile-friendly? In general, Event Espresso 4 adopts the layout as dictated by your theme’s blog archive template. So, if your Event Espresso pages are not passing Google’s “Mobile-Friendly” test tool, it will be because of your theme OR a plugin causing trouble . I’ve tested over two dozen free themes with Event Espresso and they all passed as “mobile-friendly”. That doesn’t mean that some of the Event Espresso elements can’t be improved to be easier to use, but they are passing the “mobile-friendly” test so you will not be penalized because of Event Espresso. 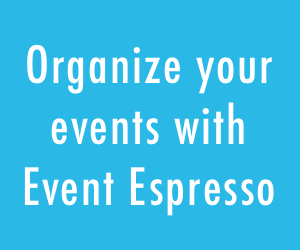 If you have specific suggestions for improving how Event Espresso responds to mobile devices, please let us know. If you have questions about either mobile-friendly event websites, we’re always happy to chat, just contact us. Note: This article was adapted from the Event Smart Blog article: Google is Changing Their Mobile Search Results Algorithm, are You Ready?